Don't post any requests for subs! Anything unrelated to the drama plot is considered spamming. Don't quote images. Due to the copyright/legal problems, no illegal streaming links will/should be posted on this thread as there had been major crackdowns going on lately. Any complaints about any streaming links will be counted as spam and will be reported to the mods.Any complaints of the respective companies such as Viki, youtube, etc. should be reported to the respective companies instead of posting your complaints here. Those who are caught breaking the Soompi posting rules more than 5 times will have their ID/IDs reported to the mods. Those who are caught promoting/posting illegal streaming links with subs (those without permission from the orginal subbers and doesn't have copyrights like Viki, Dramafever or Crunchyroll) will have their ID reported to the mods for endangering Soompi to legal issues for illegal streaming sites promotions. PLEASE GIVE CREDIT TO WHERE CREDIT IS DUE! Wow! This is Awesome.I liked it. Thanks Soompi. I am new here. Can i suggest ha ji won for the leading female?? Extremely pumped for this one and crossing my fingers that Moon Chae Won will be cast as female lead. I miss watching them together on screen. aaaahhhh! Please pull a Kim Soo Hyun/ Jun Ji Hyun here writer!!! I want Park Bo Young to play his leading lady! They look formidable together. 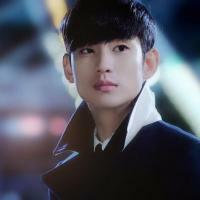 marie67 said: Please pull a Kim Soo Hyun/ Jun Ji Hyun here writer!!! I want Park Bo Young to play his leading lady! They look formidable together. The rumors says that KBS sent 2 scripts to actress Moon Geun Young this yearone is "Producer" and second one is DotS along with Song Joong kiand my korean friend told me that MGY is the first possible to this drama. The return of Song Joong Ki nice! Let's hope we have a good actress as the female lead. I like to see Ha Ji Won back on the small screen too. webdangol223 said: Wow! This is Awesome.I liked it. Another anticipated drama to watch Added into my watchlist! Let's hope for more confirmed news! @gabom hahaha you said it. This better be good. I knkw she can write good dramas so i am crossing mg fingers for her writing magic to come here. i do think SJKs company is just waiting for his discharge b4 the confirmation. i remember that the start of culmination with the press for this drama started last october 2014 but since then no name has been attached other than SJK. I really feel like writer kim is patiently waiting for him much like all of us. Somehow i love this writer but sometime i want to slap her. after the Heirs, i hope she will not make any mess with the second lead because i'm tired to have a second lead syndrome after her previous porject. i am enough with Young Do. 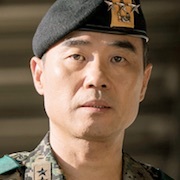 Updated news on "Descendants of the Sun"